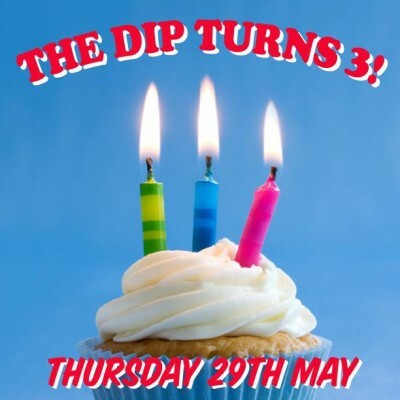 It’s The Dip’s 3rd birthday this month, and with it comes a grip of fun specials and the return of The Dip Annual Hot Dog Eating Contest! Think you can eat more hot dogs in ten minutes than anyone else? Entry is just $20 and the winner gets a prize of $100 in Dip dollars, a jug of Goodgod’s finest punch and a copy of Levins’s cookbook Diner! Everyone not entering the contest can come down and watch their friends stuff themselves with hot dogs! Then grab a slice of our famous deep fried birthday cake and dance the night away! It’s our party and we want to celebrate with you! Hot Dog Eating Contest kicks off at 8pm sharp! Book at table or book yourself into the Hot Dog Eating Contest by emailing us on do@thedip.com.au or giving us a call on 02 9283 8792.